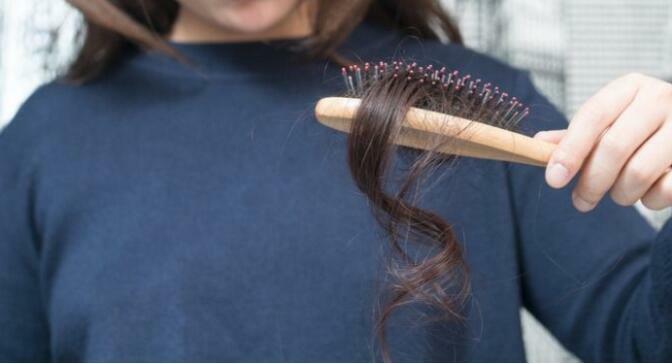 There could be many reasons why you see more strands in your comb than usual, but sometimes a medical hormonal imbalance including thyroid related disorders can cause hair fall. A hormonal imbalance can result in a dip in hair-growth promoting hormones such as oestrogen and progesterone and an increase in hair loss promoting hormones such as androgen and testosterone. This, in turn, can send your hair to telogen phase, a resting phase where your hair releases and falls out. The period can last up to seven months during which you will not notice much hair growth in the affected areas. You will have thinner hair all over, so you will have a tinier ponytail. How to turn off the hair loss hormones?If your condition is brought along by a medical-related hormonal issue, your doctor may put you on hormone regulating medications like progesterone. According to Dr Souvik Halder, trichologist at Apex Laser Clinic, Kolkata, minoxidil and supplements that address to multiple sources of hair loss can kick start the re-growth of strands in about three months. A supplement containing vitamins, minerals, amino acids and adaptogens address inflammation and stress, triggering the hair follicles to grow healthy and strong. Also, regular exercise and meditation can help restore your body to its natural state. Hair re-growth depends on what caused the hormonal imbalance in the first place. The reasons, as seen, are many – from genetic predisposition to poor diet to menopause. Sometimes, treating the hormonal imbalance can help reverse hair loss, and at other times, it may be necessary to choose hair restoration options. One tip that works to prevent hair lossAcupressure is known to stimulate hair growth considerably. Balayam, which is an acupressure therapy increases circulation in the scalp and stimulates hair growth. For this pose, you should sit in the padmasana pose and place your fingertips facing each other. Let your thumbs be away from your fingers and rub the nails of one hand with those of the contrary. Make sure you rub only the broadest part of the nails together.